Description: For sale we have a Mossberg model 464 Cedar City Commemorative lever action rifle in .30-30 Winchester. 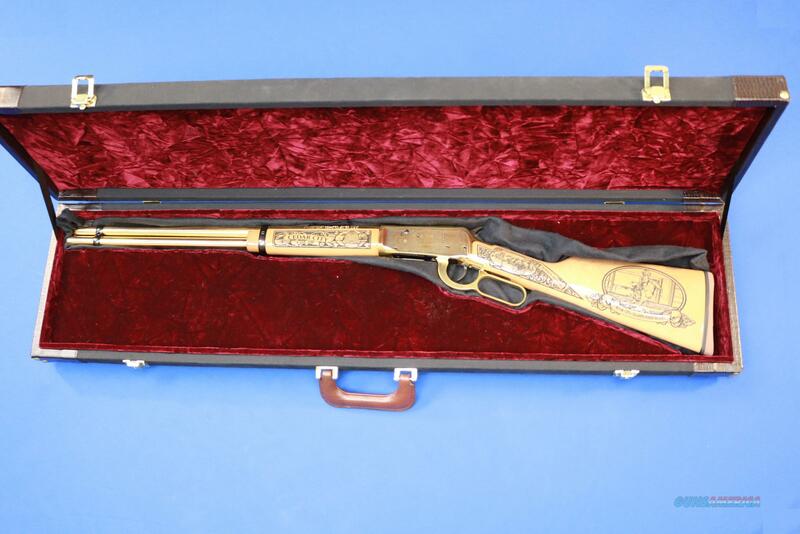 This rifle features a hardwood stock and forend with laser engraving of Cedar City, UT attractions, a gold-finished receiver with additional engraving, and 20" barrel with full length magazine tube. Gun is unfired in presentation case with owners manual and action lock. This is a limited edition, number 4 of 100.